Got a narrow space you need to fill with a tall evergreen plant? If so, growing to only 3 feet wide and 12 to 15 feet tall, Degroot's Spire Arborvitae might be just the plant you're looking for. 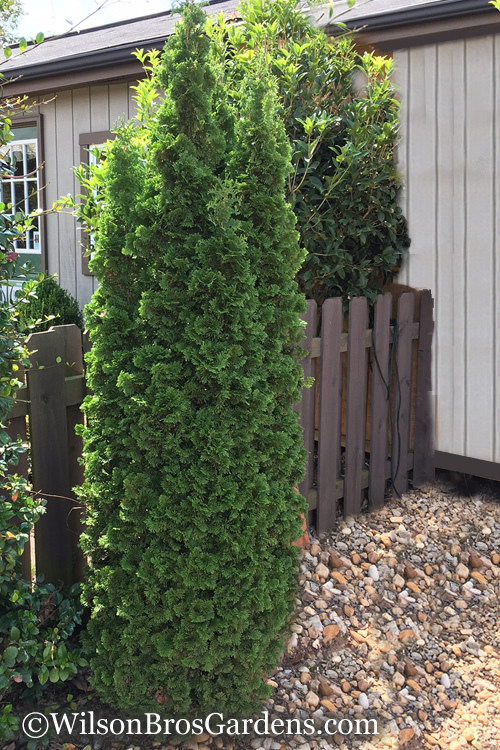 Degroot's is a highly attractive and exceptionally durable and low-maintenance evergreen conifer perfect for narrow spaces where an accent, hedge or screen is desired...or just plant one to add an exclamation point to your landscape! Get all the details below! Got a narrow space you need to fill with a tall evergreen plant? If so, growing to only 3 feet wide and 12 to 15 feet tall, Degroot's Spire Arborvitae might be just the plant you're looking for. Degroot's is a highly attractive and exceptionally durable and low-maintenance evergreen conifer perfect for narrow spaces where an accent, hedge or screen is desired...or just plant one to add an exclamation point to your landscape! 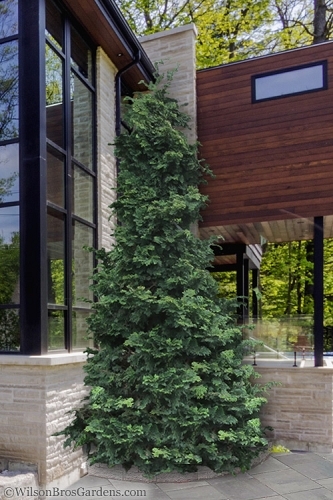 Growing in a narrow column 12 to 15 feet in height and 2 to 3 feet wide, Degroot's Spire Arborvitae is ideal for use as a vertical accent in home foundation plantings or landscape borders. 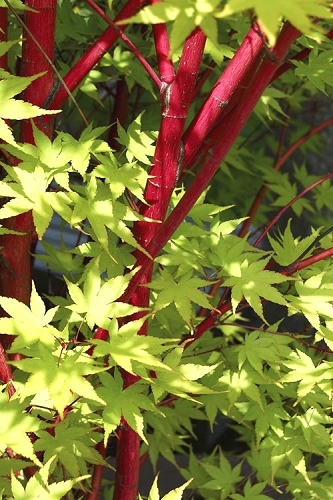 It's the perfect choice for a narrow hedge or screen or to line driveways or property lines. 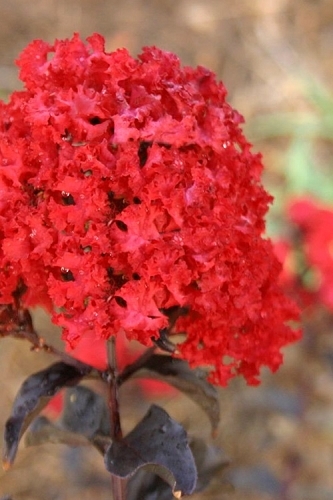 It also grows well in pots and other containers where it serves as a unique centerpiece with foliage that contrasts nicely with flowers and other plants. 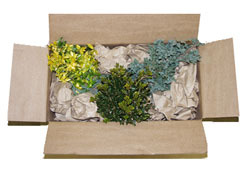 A natural choice for conifer gardens, formal gardens, rock gardens, and the Xeriscape (low water needs). Arborvitae are very easy to grow in most any average soil in full sun to part shade. A wide range of soils are tolerated, including red clay, but Arborvitae prefers moist but well-drained neutral to alkaline loamy soil. They don't like an overly dry site. Maintenance is minimal with very little if any pruning ever required. Click on a link below to find helpful advice from our experts on how to plant and care for Arborvitae trees. Get 3 gallon size - you will not regret it! Very Pleased With Our Shrubs! Works great as a deck screen to obscure nearby houses. Plants were in great shape when I got them...large plants. Couldn't be more pleased. Keep up the good quality and service. 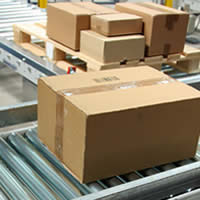 The whole process was friendly, fast, and hassle-free. Spencer was very helpful and my plants arrived in beautiful condition. Thanks! Q: How tall are the 3 gallon Degroots Spire Arborvitae? How long will it take to reach 7 or 8 feet tall if maintained properly? What is the price of 1 gallon plants and the same question concerning reaching a height of 7 or 8 feet. Thank you. A: Hi David. The current crop of 3 gallon Degroots Spire are 38 to 40 inches tall and about 10 inches wide at the base. The 1 gallons are 24 to 26" tall and 5 inches wide at the base. 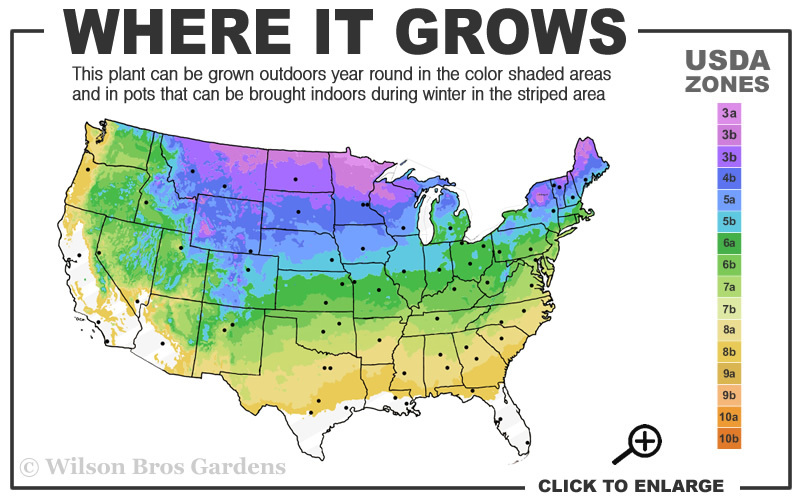 If maintained properly and depending on sun exposure and Geographical location they will grow about a foot a year so a 3 gallon will take about 4 years and a one gallon about 5-6 years to get to 7-8 feet. Q: How tall is the 3-gallon plant at purchase? Thank you. The current crop of 3 gallon Degroots Spire are 34 to 38 inches tall. 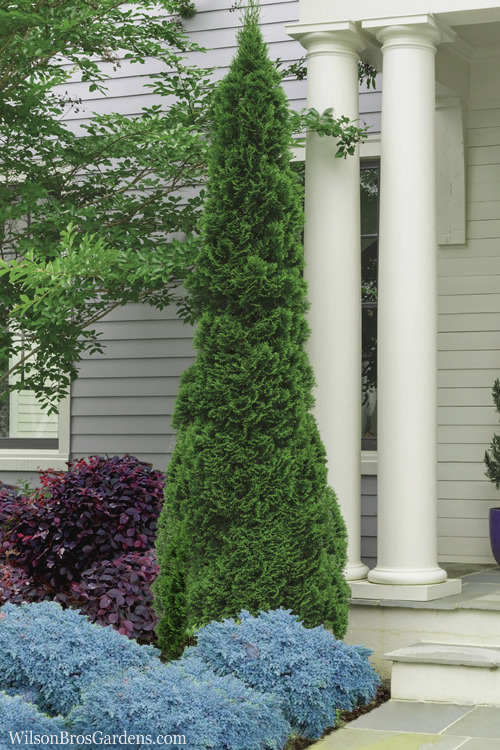 Q: How tall is 3 gallon size Degroot's Spire Arborvitae? The 3-gallon size Degroot's Spire Arborvitae usually range between 28 to 34 inches tall from the soil line to the top of the plant. The plants in our current crop (5/18/2018) are ranging from 30 to 34 inches tall. Very nice and healthy plants. The 5-gallon size are about 6 to 10 inches taller. Let us know if you need more details or have any other questions. We're at your service! Q: How tall are the plants in the 5 gallon container from the top of the container? How fast do they grow? I live in central Florida - 9b. obviously we have a lot of heat and it would be in the direct western sun. we do have an irrigation system. The Degroot's Spire Arborvitae in 5 gallon size pots usually range from 36 to 48 inches or more in height. The one's we have in stock at the moment (3/13/2018) are between 42 and 46 inches tall. They grow relatively fast at about 1 foot a year. Problem is, the Degroot's Spire is only hardy in USDA Zone 2-8. 'Blue Cone' Abrovitae, Iowa Juniper, Spartan Juniper, Sky Pencil Holly, and Podocarpus macrophyllus are good, narrow growing alternatives for 9b. That said, they don't grow quite as narrow as Degroot's Spire. Let us know if you need more details or have any other questions. Q: What zone is Degroots Spire arborviate good for, 9A? A: Hi Valerie - Though some websites say it's only hardy down to 7a, we have the Degroots Spire listed as hardy to USDA Zone 8b. Reason being, it's done very well here in our north-central Georgia gardens in zone 8...even during the hottest summer on record we had in 2016. Think we had over 70 days with temperatures over 95 degrees F. That said, not sure if the Degroots would tolerate the climate in 9a? I wouldn't plant more than one or two for a test before planting more. If you decide to try them out keep us posted as to how they do in your area. Q: Hi I am looking to purchase the 3 gallon sized degroots spire arborvitae, can you please tell me the height of the plant this time of year? Thanks! 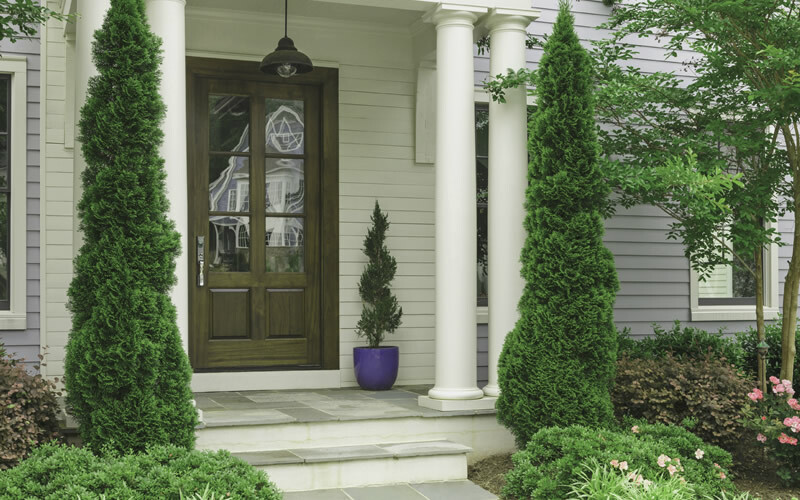 Q: We love the look of the Degroots Spire Arborvitae. Does it come in two different types that grow to different mature sizes? Reason I ask is that I see different mature sizes listed on different websites. If it does come in two different types, we would be interested in the smaller growing one. This is a good question and I'll try to answer it as best I can. There is only one Degroot Spire Arborvitae. Some sources may list different mature sizes based on different factors. 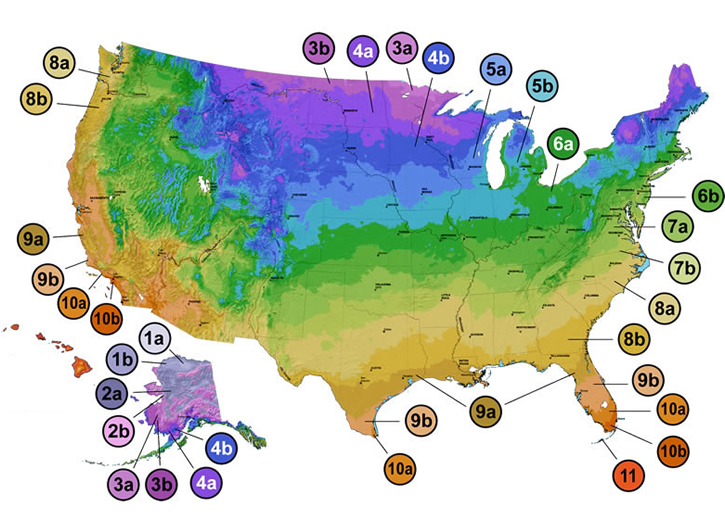 Based on climate and other environmental factors, the same variety of plant can grow to different mature sizes and live longer. Another thing to consider is time. After 10 years a 4-foot tall Degroots might grow to be 10-15 feet tall and 18 inches wide, again depending on the environment. After that, as the tree ages growth slows way down and it might put on only a couple inches or less in height per year. So, after 30 more years, when the plant might be over 50 years old, a Degroots Spire might have grown to 15 to 20 feet in height with a width of 24 inches or so, again depending on the environment and other factors. If the tree lived to be 100 years old, it might reach 20 to 25 feet. 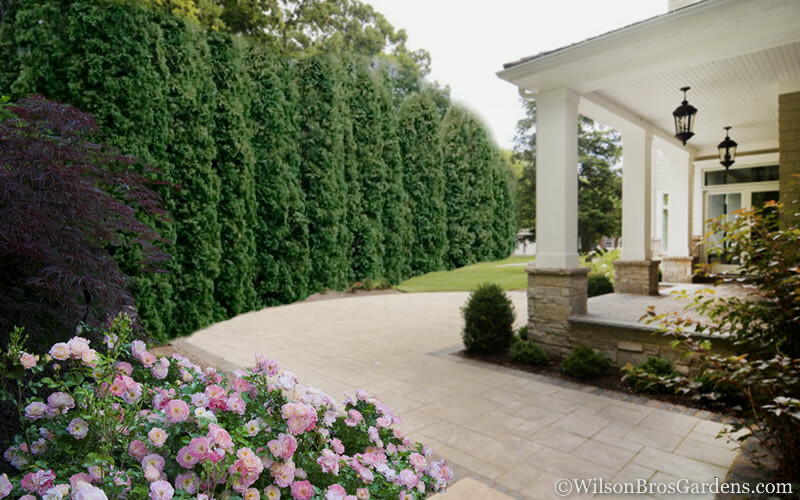 The lifespan of Arborvitae ranges from 40 to 150 years. So, in it's native habitat, where it's most happy, it might reach even taller than 25 feet in 150 years. But most folks in our industry are not going to list mature height based on the maximum lifespan of a plant because of the mentioned variables. Hope this answered your question. Let us know if you need more details or have any other questions. Q: Interested in the Degroots Spire Arborvitae - what are the heights of the 2 gallon and 5 gallon arborvitaes? In our current crop the 2 Gallons are 20-22" tall and the 5 gallons are 36-42" tall. If you are not purchasing in the next month or so, please be aware that heights vary from crop to crop so for an update when you are purchasing feel free to contact us. 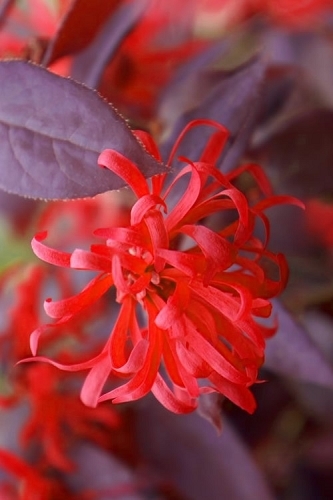 When you buy plants online from Wilson Bros Gardens, you can expect to receive the highest-quality nursery and garden center grade plants that are ready upon arrival to plant and thrive for years to come in your gardens - Guaranteed! 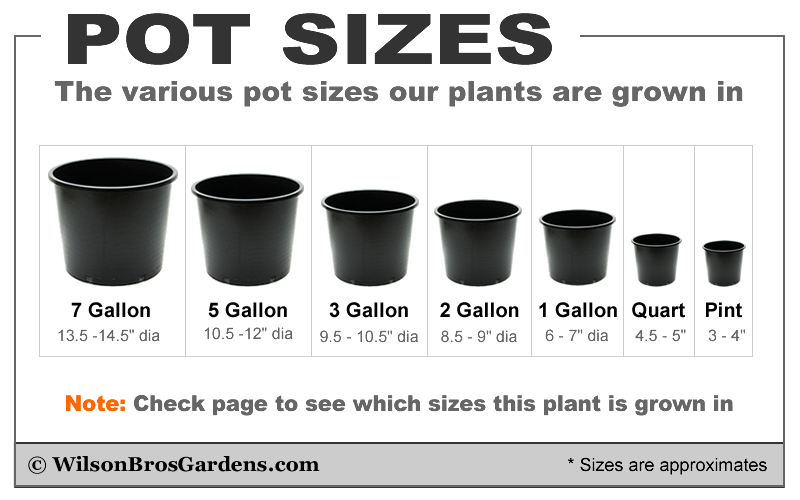 Note: The approximate plant heights listed below do not include the height of the container and may or may not always be available. Available sizes are shown next to the main photo on this page. Please Note: On a periodic basis we prune our plants to maintain fullness, which means you might receive a plant that is shorter than the approximate heights listed below.